Chinese tech company ZTE has named a new CEO as it tries to deliver on a deal with the US government that would allow it to get back to business. ZTE named Xu Ziyang as its new chief executive, according to a statement. Xu, a former managing director of ZTE in Germany, has been with the company since 1998. It also named a new chief financial officer, and two executive vice presidents. 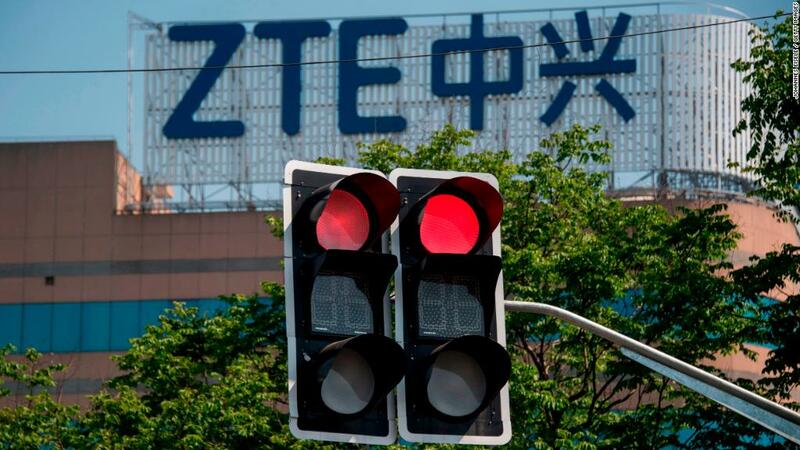 The raft of new appointments comes less than a week after ZTE replaced its board of directors, fulfilling another part of the deal it made with the US government. ZTE (ZTCOF), which makes smartphones and networking equipment, has been in crisis since April, when the US Commerce Department banned American companies from selling it components. The department said it imposed the ban on ZTE because the company breached a 2017 deal in which it agreed to pay a fine for violating sanctions on Iran and North Korea. Without vital US parts, ZTE's factories came to a standstill. The Trump administration struck a new deal with the company last month to end the ban in exchange for an additional fine and a drastic management overhaul, among other requirements. The company was given 30 days to comply with some demands, including changes to its leadership. It has 90 days to fulfill its other obligations. The US Commerce Department said in June that the company had paid a $1 billion fine. As ZTE scrambles to meet all the demands, its business continues to suffer. It's estimated to have lost billions of dollars in revenue — and the halt to its operations has strained relationships with major customers. The US government this week agreed to let ZTE temporarily restart some business activities, including allowing it to provide network maintenance on contracts it signed before the ban. Shares in the company are down more than 50% since the stock started trading in June after a two-month suspension. The company's deal with the Trump administration has faced resistance from some members of Congress, who want the ban kept in place, citing national security concerns.